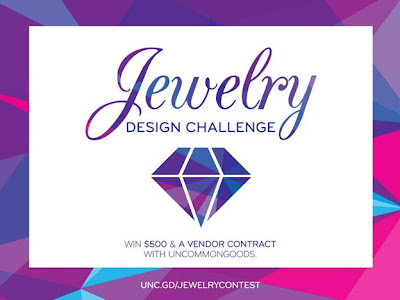 This challenge is a call for all designers, metalworkers, and artists to share their jewelry designs for a chance to see their work sold on UncommonGoods. One grand prize winner will win $500 and a vendor contract. All finalists will be invited to share their entire portfolio with the team of UncommonGoods buyers, receive feedback from a panel of judges, and receive exposure to our online community. Artists can learn more on the design page and submit their designs through the online form.